but it's the one I made this week! You can find the stocking template here. 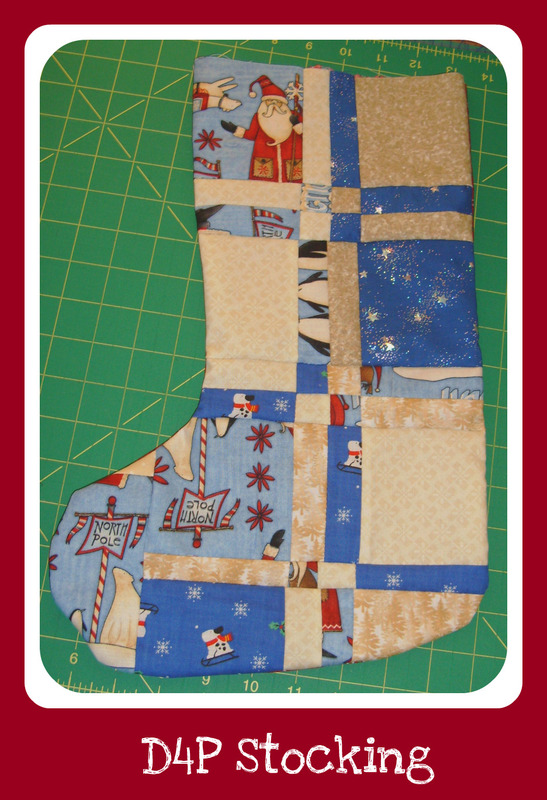 You will need 9 and a 1/2 charm squares to make the front of the stocking. 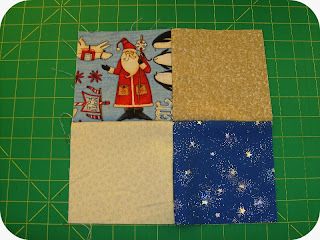 You can do what I did and cut 5 inch squares from your Christmas stash. You will also need enough fabric to make the back of the stocking. 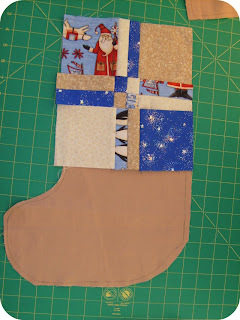 Use the stocking template as a measurement guide to make sure you have enough fabric. 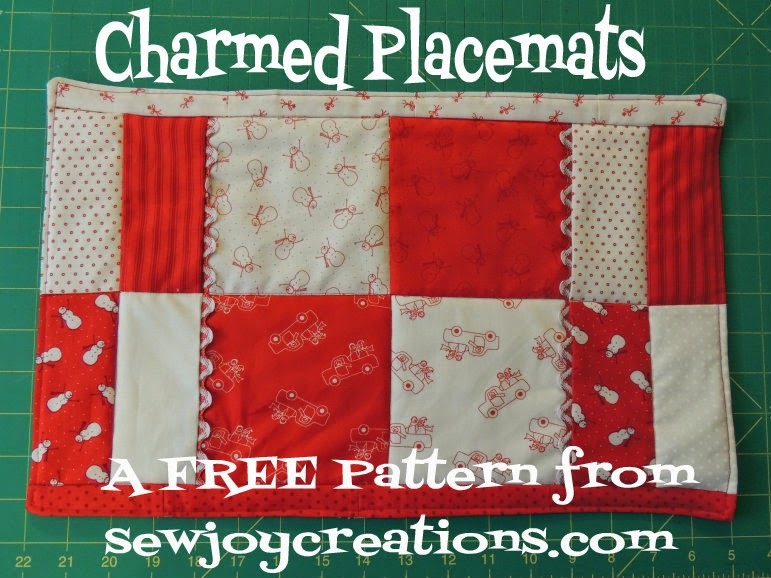 Sew together 4 charms squares with light and dark above/below each other like pictured. 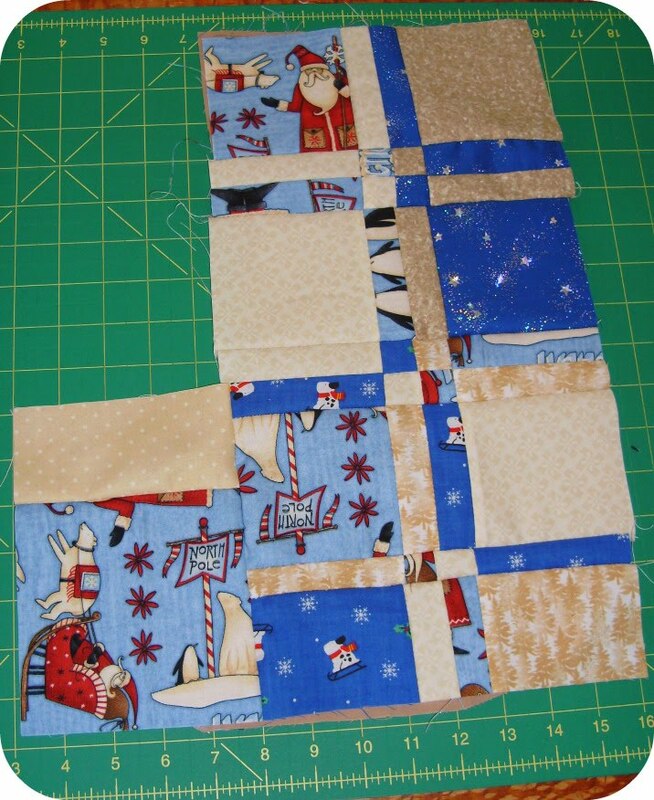 You will want contrast between your squares to emphasize the design. 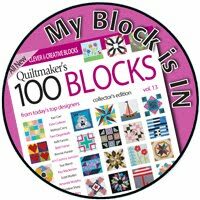 please click to this tutorial on Caryl's blog. She's given me permission to link over to use her method of fabric placement for the patch. Thanks, Caryl! 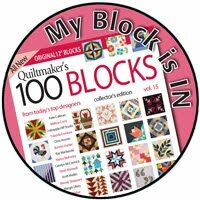 Sew your first D4P block together. 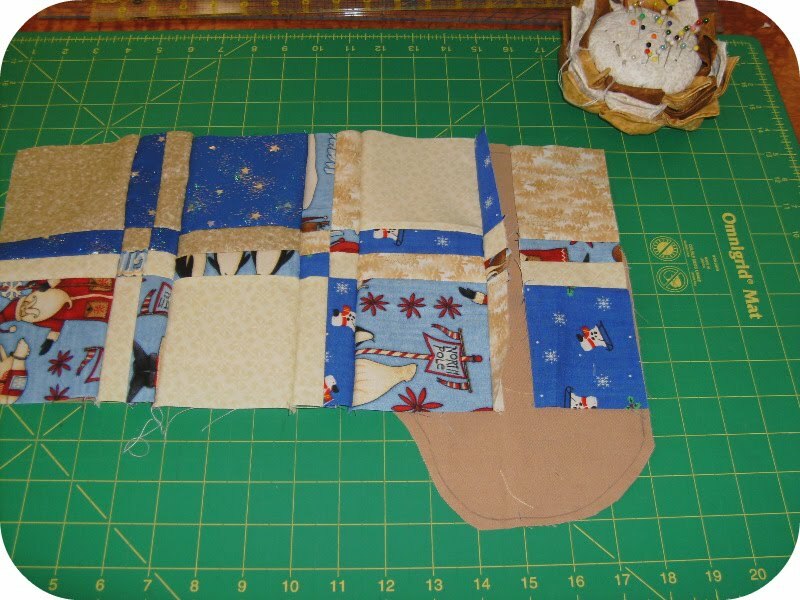 At this point I lay my block over my template to make sure the fabric covers it completely. 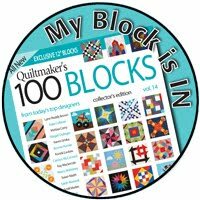 Create your second D4P block like the first, with an extra 1 inch cut at the bottom. Sew all of the second D4P to the first one. Now all that's left is to make the 'toe' of the stocking. Sew one long edge of the half charm square to the remaining charm square. 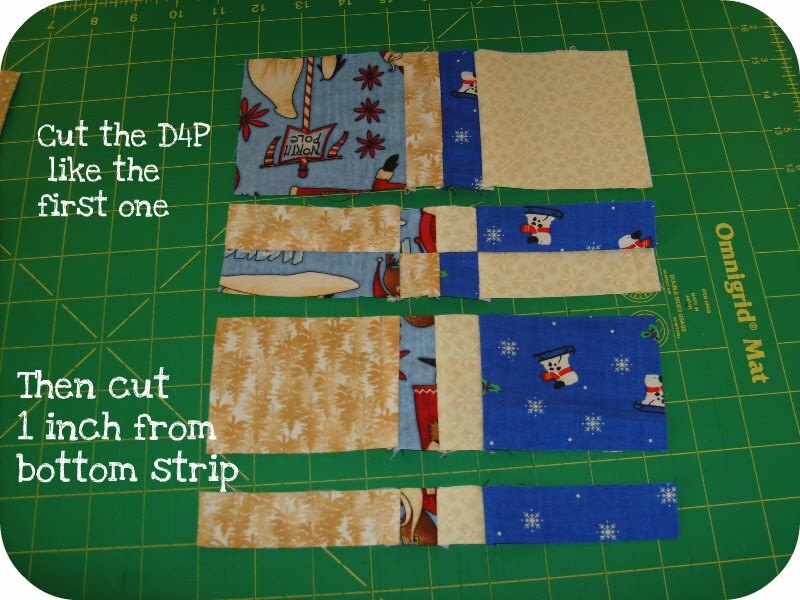 You can choose which direction your stocking will "point" by sewing the unit to the left or right of your D4P unit. Sew this unit onto the bottom of your D4P unit. The front of your stocking is complete! 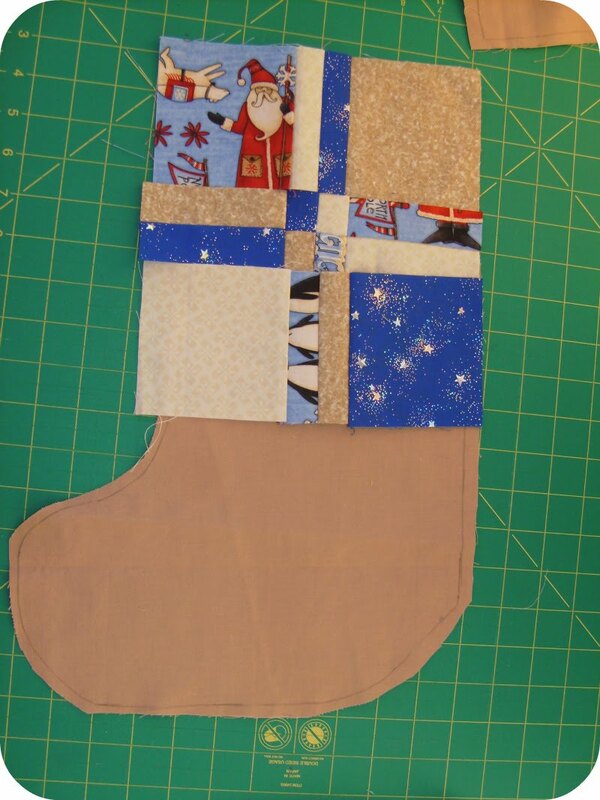 Cut out the stocking back, REVERSED, include seam allowance. Layer the front of the stocking with the back, RIGHT SIDES TOGETHER. Pin together. 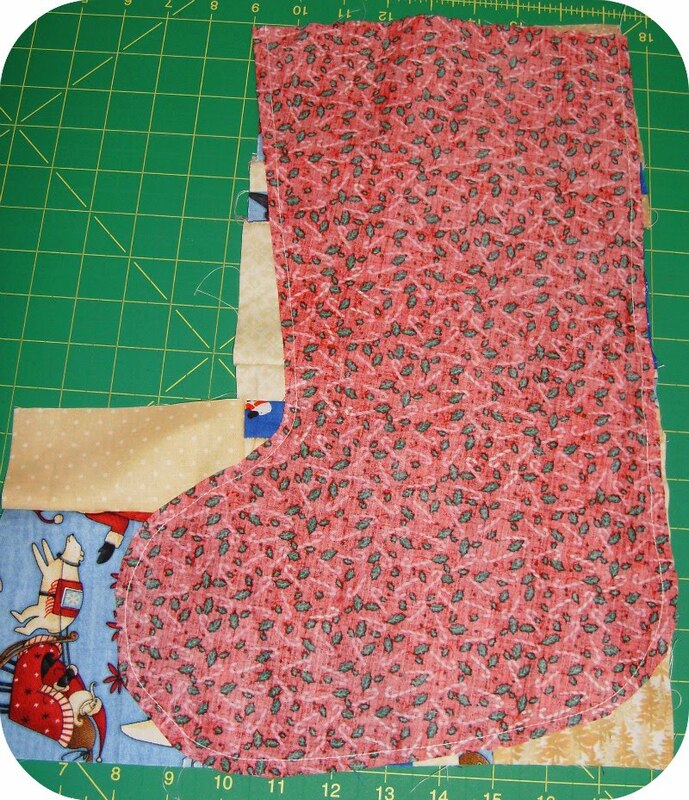 Sew with 1/4 inch seam allowance around the stocking. 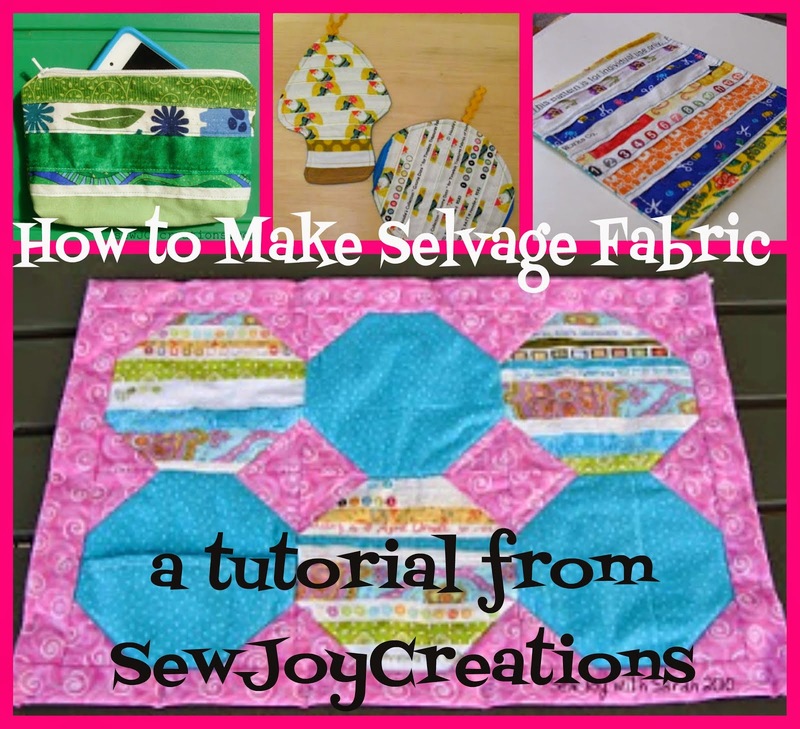 Cut away the excess fabric. Turn your stocking right side out. 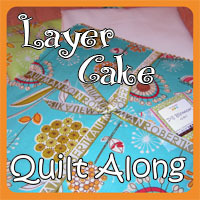 To finish the top edge, fold under 1/4 inch then fold under 1/4 inch again to have a clean edge. *You can include a hanging loop at this point. I like to use ric rac. Top stitch around the top of the stocking, with a decorative stitch if you like. Yay! One D4P stocking complete. 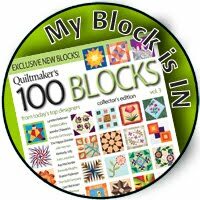 Thank for linking to my blog. We both are doing D4P again. 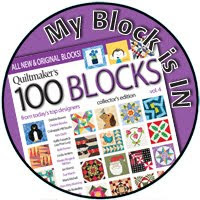 I just did one again today for Pat's birthday block. BUT I may be making another because not perfect! !